Universe Pre-Alpha Build 3 has been released. 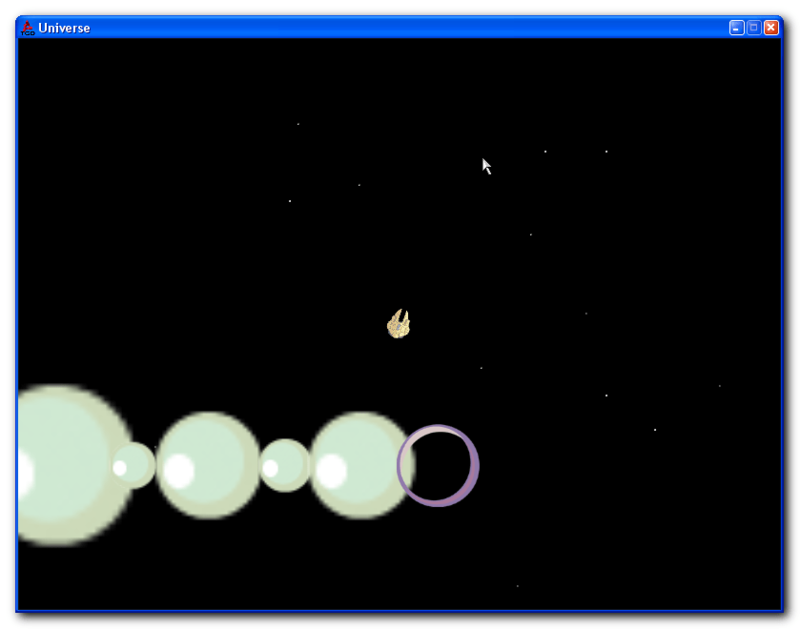 Added controllable spaceship to fly around planets. Added a few stars to the background to give a sense of movement. Note to self: It needs a parallax background to give a sense of depth to the movement.